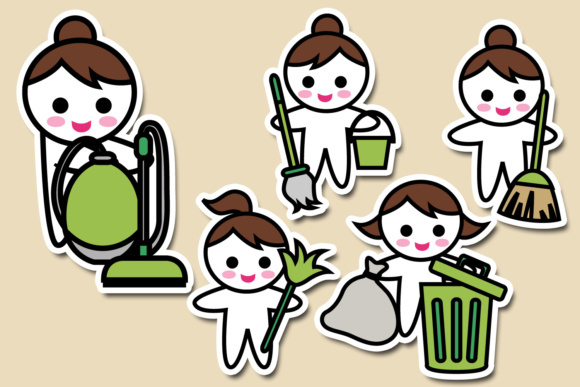 House chores illustration. 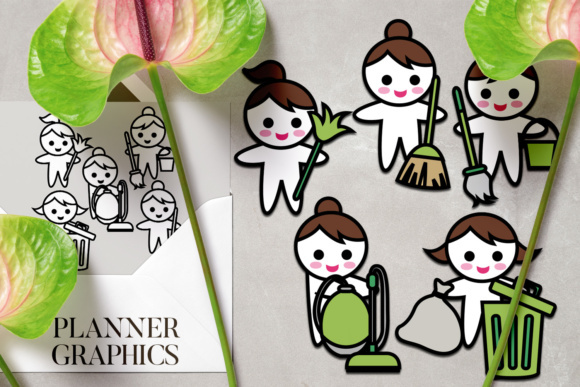 House cleaning clip art set featuring cute brunette girl. 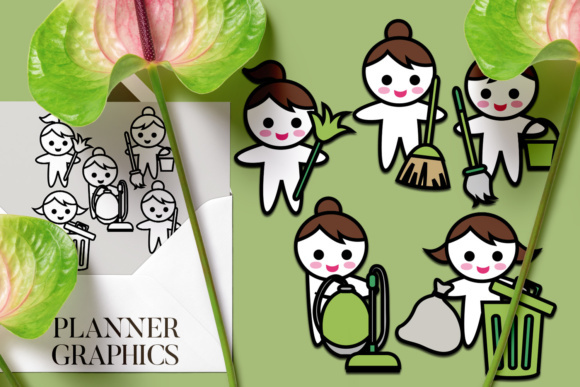 Routine tasks graphics.